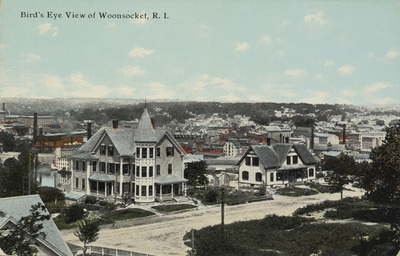 "Bird's Eye View of Woonsocket, R.I." by F.M. Kirby and Co.
Bird's Eye View of Woonsocket, R.I.
F.M. Kirby and Co., "Bird's Eye View of Woonsocket, R.I." (1915). Rhode Island Postcards. 265.